Rim glass with Spicy Bloody Mary Mix and BBQ Seasoning. 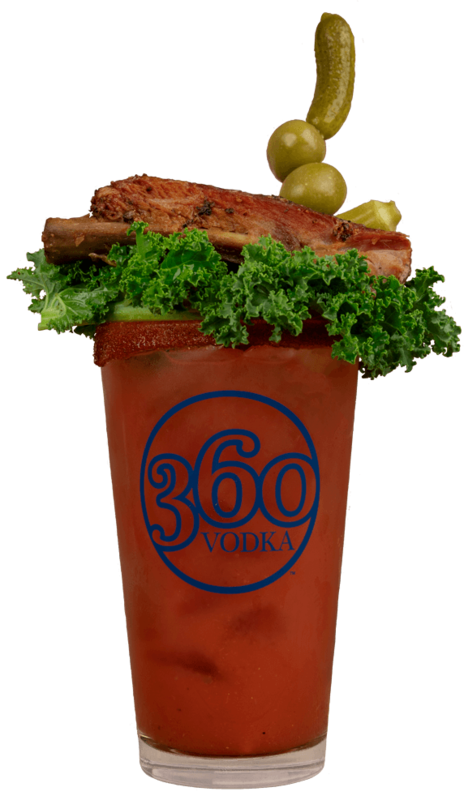 In a shaker with ice mix 360 Vodka, Spicy Bloody Mary Mix, BBQ sauce and lime juice. Strain into glass with ice. Add black pepper to taste. Garnish to taste.